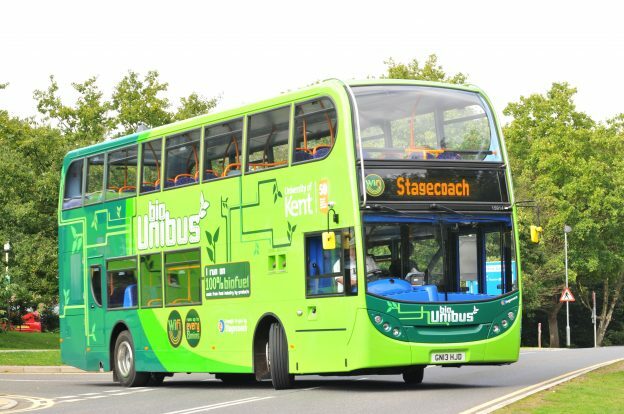 Changes to the Campus Shuttle- have your say! The University are making some changes to the Campus Shuttle service. We need your feedback to help us make these decisions. 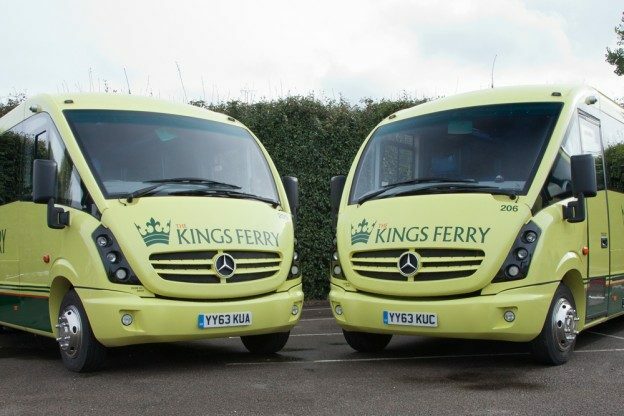 If you are a user of the free shuttle service between Canterbury and Medway campuses, please select the link below to complete our survey. The results of the survey will be presented to the University’s senior managers so make sure you have your say. The survey should take around 5 minutes to complete. The deadline for the survey is 9 December 2018 (23.59). This entry was posted in News and tagged campus shuttle, have your say, shuttle survey, timetable on November 27, 2018 by Miriam Sandiford. Book online to guarantee a seat on the shuttle service. We recommend booking a seat, particularly when you have an exam. Please note the shuttle runs a different timetable for the weekend so make sure you check and plan your journey before you travel if you have a weekend exam. 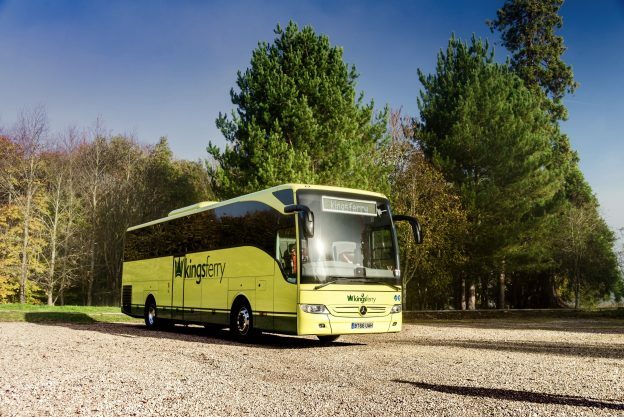 If you do not book a seat you can still travel on the service by showing your KentOne card as long as seats are available. This entry was posted in News and tagged campus shuttle, timetable on May 24, 2018 by Miriam Sandiford. 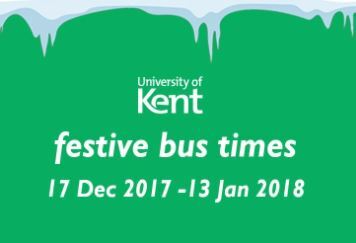 Buses serving the University of Kent will run a winter vacation timetable from 17 December 2017 to 13 January 2018. Uni2 – special timetable between 18 December and 31 December only (no Uni2 buses will run between 1 January and 13 January). You can pick up a physical copy of the winter vacation timetable from Security and Transport Centre, reception areas on campus or Canterbury bus station. You can also view the winter vacation timetable at Keynes and Darwin bus stops. This entry was posted in News and tagged bus travel, Stagecoach christmas timetable, Stagecoach winter timetable, timetable on December 5, 2017 by Miriam Sandiford. Please see new route 4 timetable and route 6 timetable. We have received some emails from members of staff with concerns regarding the changes to the 4/6 route bus timetables which comes into place on Monday 12 December 2016. “Except for some early morning journeys, this route will no longer run via Tankerton Circus or Swalecliffe. This is as a result of feedback from residents and representations from local councillors in Tankerton, which meant that an alternative solution needed to be found that preserved the link between Herne Bay, Greenhill, Whitstable Rail Station and Estuary View Medical Centre. Consequently from Whitstable Station, buses will continue every hour via Church Street, Ham Shades Lane, Foxgrove Road and the Old Thanet Way towards Greenhill. After Greenhill most buses will continue to/from Herne Bay as route 6 bus. For more information on these changes visit the Stagecoach service updates webpage. This entry was posted in News and tagged bus, route 4, route 6, stagecoach, timetable on December 8, 2016 by Miriam Sandiford. The timetables are linked above. You can also pick up a physical copy of the special Uni1 timetable from reception areas around campus and at the Travel Shop located at Canterbury bus station. Don’t forget to check out the new Stagecoach bus app which is free to download for iPhone and Android. You can plan your journey, check live bus times and even purchase mobile tickets on the app. This entry was posted in News and tagged bus, Christmas timetable, stagecoach, timetable, uni1 on December 1, 2016 by Miriam Sandiford.